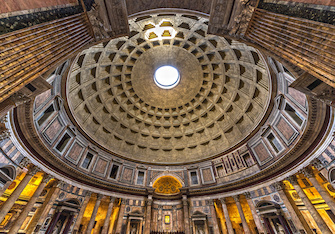 With EcoArt you'll discover unique and extraordinary ways to explore Rome and beyond. Stop by our office, we’re located right next to the Colosseum. It doesn’t get much better than a 5 star rating on TripAdvisor. Because nothing about your Rome trip should be ordinary. Our guides are all Vatican experts. Comfortable groups of 20 or less. Enjoy breakfast INSIDE the Vatican. Get an early start on your day. Almost-private groups of 10 or less. Swim and relax on a 5 hour boat excursion circumnavigating Ponza. Beautiful spot for snorkeling and exploring blue grottoes! Small group upgrade available for a group of 12 or less. We take care of all ticket bookings for you. Spend the day swimming & snorkeling on a 5-hr boat excursion. Want to stay on Ponza? Choose our one way option. Choose between a sunrise or sunset departure! Perfect for early-birds, romantics & photographers. Great for beach-lovers and families looking for a private experience in Sperlonga. Visit Sperlonga's beautiful historic center. Benefit from the assistance & expertise of a Tour Leader. No big tour groups, no rushing. A Private Driver in Rome just for you. Choose between half and full day options. Design your own custom tour of Rome. Private transfers between Rome & Tivoli. Option to have driver stay on in Tivoli. Explore Hadrian's Villa and Villa d'Este. Stress free transfers to/from Civitavecchia. EcoArt takes pride in offering extraordinary tours and customer service. Check us out on TripAdvisor to see what those who have experienced the magic of EcoArt firsthand have to say! "Visite des Rome la nuit"